Xpand IT maintains its growth route and starts the new year with the inauguration of the new facilities at Parque das Nações in Lisbon. The new office will allow reinforcing the team of consultants already at the beginning of the year, trying to respond to an increase of national and international projects. Xpand IT, a global company specialising in the areas of Business Intelligence, Big Data, Middleware and Enterprise Mobility, closes the year 2013 with a 9% growth in its turnover compared to last year and announces the official opening of the new offices Located in the Parque das Nações in Lisbon. A few months after the official launch of the Microsoft Solutions Center – Microsoft’s Center of Excellence, Microsoft plans to expand its infrastructure to meet the growing number of projects scheduled for 2014. The new headquarters is located in the Mar East – Alameda dos Oceanos – Lot 1.07.1Y – Fraction 2.3 – Lisbon (Next to the Campus of Justice). Xpand IT is a global company with projects on 5 continents in some of the leading Fortune 500 companies. In contrast to national reality, this investment comes at a time when our team of consultants is beginning to grow at a very high rate. In the last 6 months, about 20 new employees have been hired, with various types of profiles, and our expectation is that the working group will continue to grow. The human resources that will be working in the new office will mainly be engineers specializing in Microsoft technologies, Tibco, Pentaho, Red Hat, Mongo DB, Hadoop, Vectorwise and Liferay. 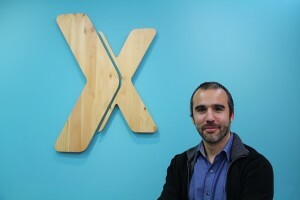 Rui Maia – Chief Human Resources Officer, Xpand IT. The company closed the year 2013 with very positive indicators. We have been able to expand our facilities, increase our product portfolio, win international accounts and hire recognized professionals in the market. For the next year, the continuity of the Big Data theme and investment in a new area of premium infrastructure services are the main objectives. In the context of products, we started the year with the launch of new software in the area of Management and Test Automation. We believe that this line of business will continue to translate into a gateway into new markets, as has happened with other products launched at the end of 2012 and that to date have represented a growth of more than 150 new customers spread around the world .